… I’ve just received the email we’ve all been waiting for! 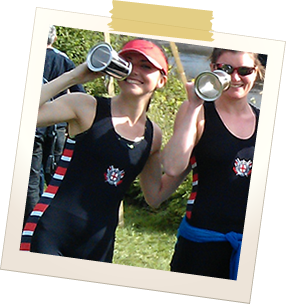 The crews for Henley have now officially been announced, and training in those crews starts this week – I’m expecting it to be a very full-on couple of weeks as we build up to Women’s Henley (21st to 23rd June). I will be racing in the Women’s 8 at Bow, along with Hannah B (2), Holly (3), Laura (4), Madeleine (5), Kathrin (6), Charlotte L (7) and Bethan (Stroke) – coxed by Marie. As a squad, we are also entering a four; Katrine, Bernice, Amy C and Amy L, coxed by Cat. This should make up for the many months training in the dark and cold! According to the regatta’s website, the draw should be announced Friday, so until then we sit and wait to find out who our competition will be for qualifying!